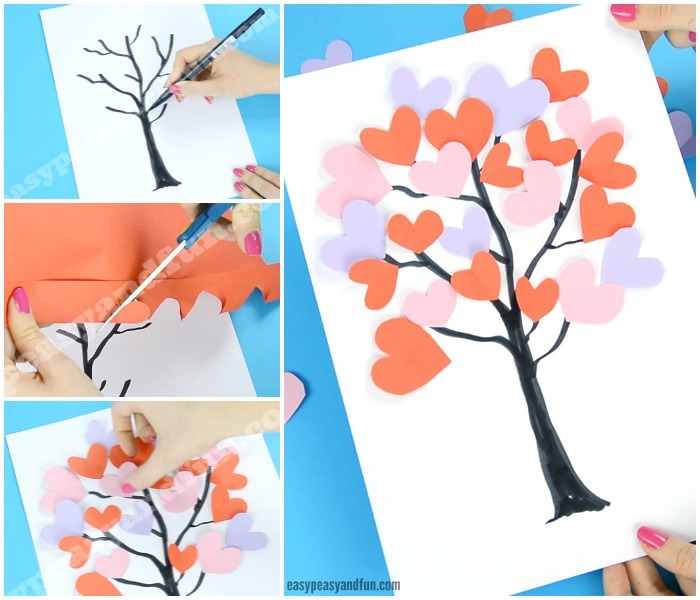 Here is a fun and simple art idea for Valentines day, make a Tree With Paper Hearts Art! This one can be modified in many different ways, read on to find out how. Valentine’s day is a great holiday for all things heart – from simple crafts, through lovely cards and art projects. But spreading love should be a “all around the year” thing. 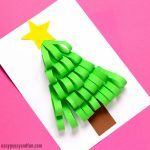 This art project is fairly simple to make, and you can make it as an individual craft / art project or as a group / classroom one. It can be made freehand or by using a heart punch. It can have the hearts carry a message. 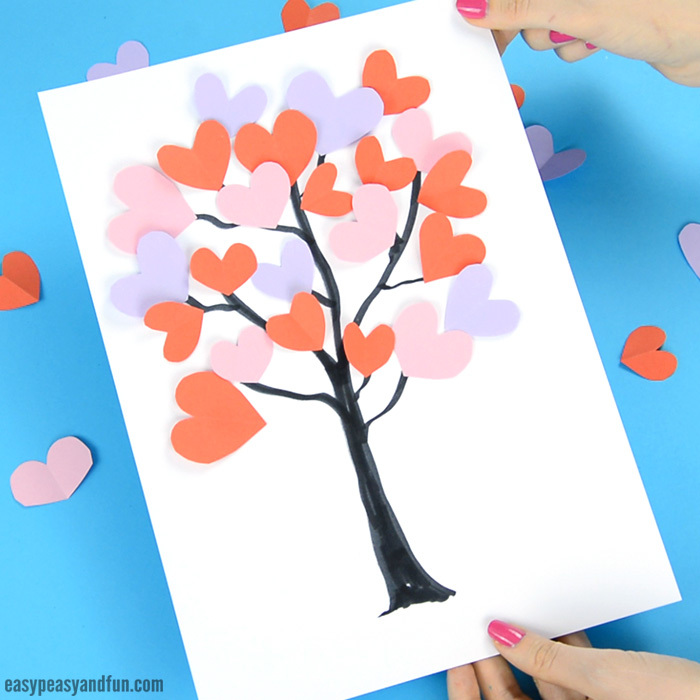 You can use colored paper, or have the kids each make their unique decorated and cut hearts. Many, many options. 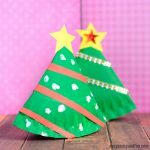 This one works out as a super adorable classroom door decoration, with kids creating their own hearts and signing them – all nicely displayed on the tree. Start with a sheet of white (or other color) base paper. 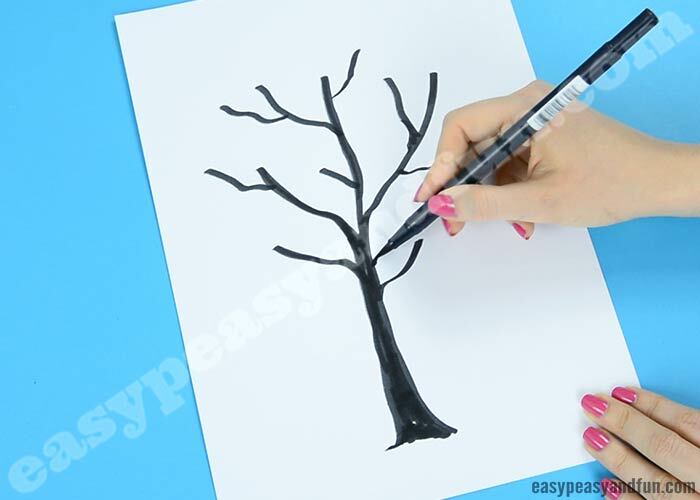 With a black or brown marker draw a tree. Draw branches. 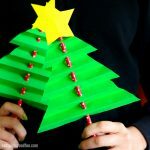 You can also use paint and paint the tree on a canvas. 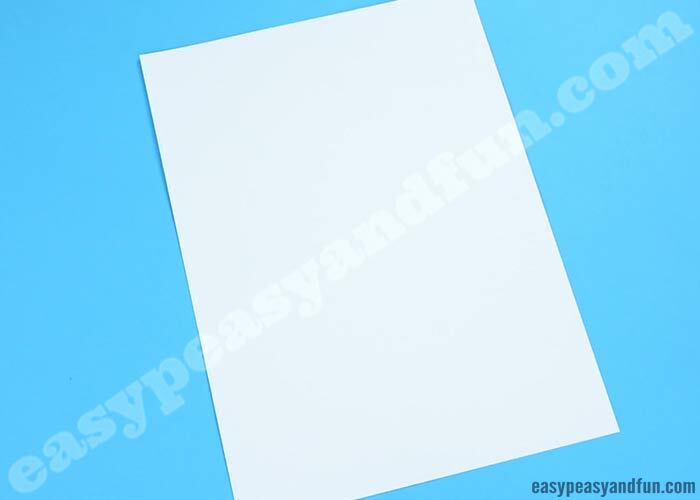 Take a sheet of color paper and fold it (roughly as shown on the picture bellow). Cut out heart shapes (half hearts). Don’t know how to make hearts? 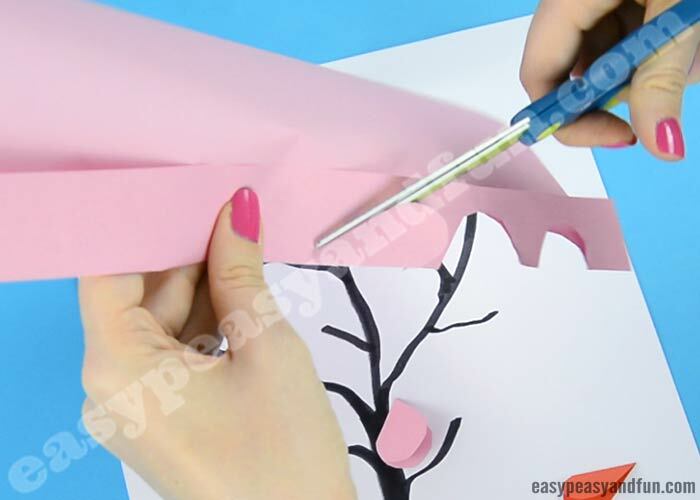 You can easily make a stencil (no skill required) by drawing a number 2 newt to the fold and cutting along the number. 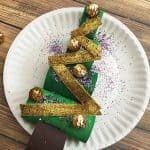 To make the tree more colorful, use different colors. Also make the hearts in different shapes (unless using a paper punch natraully). …and glue them on the branches. One by one until you are satisfied with how your tree looks. 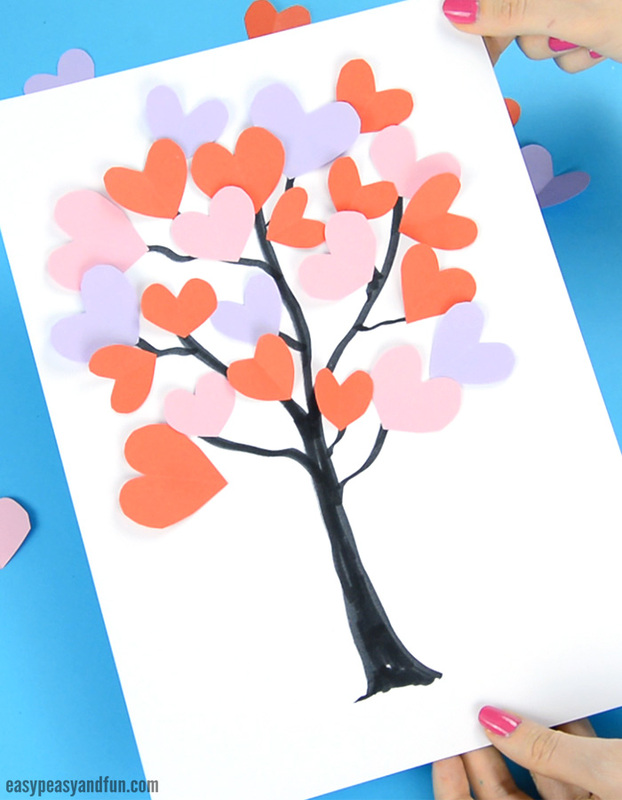 Instead of color paper, have the kids paint their own papers for the heart leaves. 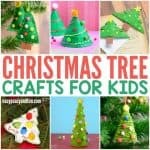 Use a handprint for the tree. 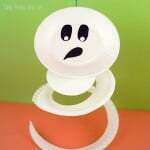 Make this in largescale as a wonderful decoration for your home or for your classroom. 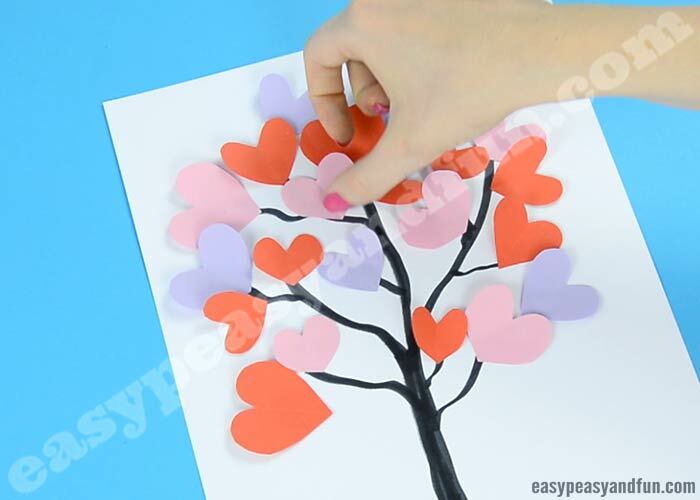 Write lovely messages on each of the hearts you glue on your tree with paper hearts art.